Blazing Fast SSD Premium Hosting! SSD Cloud Linux Hosting at Affordable Price! Get it now from $4.9 $1.9/m! Reseller Hosting with Free WHMCS! SSD Premium Reseller Hosting with Cloud Linux OS + LiteSpeed with LSCache! Grab it now from $24.9 $14.9/m! Fully Managed SSD VPS with Free cPanel/WHM + Softaculous! Deploy Now from $39 $29/m! Dual Xeon CPU, 16GB+ RAM, Blazing Fast SSD Drives, 100TB Bandwidth! Deploy now from $149 $99/m! High IOPS SSD Disk Storage accelerate the speed of server performance including load time with LiteSpeed Web Server + LSCache. All of our managed hosting plans comes with control panel as: cPanel/WHM, 1 Click installation of WordPress, Drupal, Joomla ..etc 200+ apps via Softaculous. 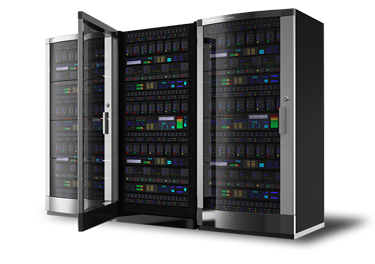 All of our Web hosting & Cloud VPS plans are flexible or scalable to upgrade or downgrade as per your requirement. Each domain comes with free Email, Privacy Protection. We also provide Professional Emails at very affordable price. "I have needed support a couple of times and I must say it's been perfect, my other provider didn't have this 24 hour service". "Your hosting and design services are so cheap that I wasn't sure what to expect! Happily the whole experience has been just as you promised." "I am very new to all this online stuff, but you took the time to explain everything, I really appreciate your support." Copyright © 2019 INSIGHT TECHNOLOGY. Alle rechten voorbehouden.